In this book, Hamid Dabashi brings the Shahnameh to renewed global attention, encapsulating a lifetime of learning and teaching the Persian epic for a new generation of readers. Dabashi insightfully traces the epic's history, authorship, poetic significance, complicated legacy of political uses and abuses, and enduring significance in colonial and postcolonial contexts. 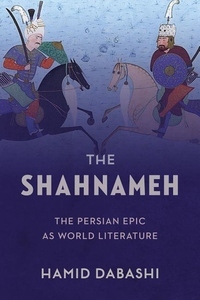 In addition to explaining and celebrating what makes the Shahnameh such a distinctive literary work, he also considers the poem in the context of other epics, such as the Aeneid and the Odyssey, and critical debates about the concept of world literature. Arguing that Ferdowsi's epic and its reception broached this idea long before nineteenth-century Western literary criticism, Dabashi makes a powerful case that we need to rethink the very notion of "world literature" in light of his reading of the Persian epic.